Before the examination your diet must be restricted to enable the bowel to be cleaned of residue, otherwise the examination may not be completely satisfactory. Please call into our clinic to make an appointment and collect your preparation. • Evening meal – A light evening meal before 7pm. • At 8pm – Mix the contents of the PICCOLAX sachet with 120mls of water. Drink all of this mixture followed by two large glasses of clear fluids. • Have nothing to eat after drinking the laxative. • Clear fluids may be taken throughout the evening to satisfy thirst. • From midnight nothing to eat, sips of water for thirst. In most cases, on arriving at the clinic for your scan, you will be given a special solution to drink over the course of one hour (MRI Enterography) – the solution coats and outlines the small bowel. Just before the MRI scan itself, you will be given an injection of a contrast dye into a vein, which will help provide additional information to the Radiologist (doctor). The MRI scan is quite quick and should take no longer than 30 minutes. Occasionally your doctor may ask specifically for a `MRI Enterocolysis` small bowel study. This involves putting the solution directly into the stomach via a small tube (rather than drinking it). The tube is inserted into the nose after a spray of local anaesthetic to minimise discomfort. The tube is then guided to the correct position by the Radiologist and the solution is run through this tube into the bowel while you are lying on the MRI scanner. 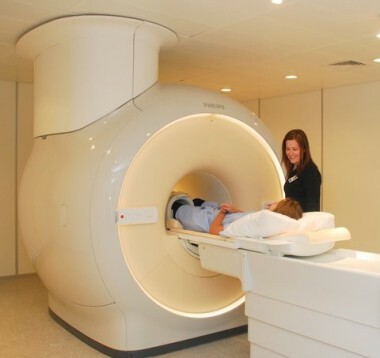 Joondalup patients – MRI Enterography is performed at Joondalup, Shenton House and MRI Enterocolysis is performed at Joondalup Health Campus. All other sites perform both procedures.